Your crawl space is a valuable part of your home. 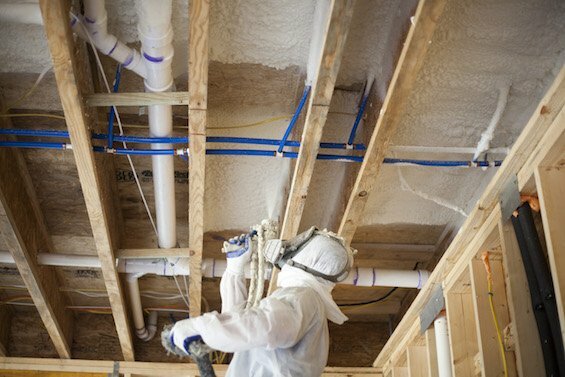 That’s why Energy One America offers crawl space insulation to seal the subfloor of your home, lowering your energy bills and protecting your home from air infiltration and unwanted pests. FortiCel Crawlspace™, a specialty coating designed to resist mold growth in the crawlspace or basement of a home. This mold resistant coating is so powerful it has a 25 year Limited Lifetime Warranty on all coating surfaces! See product’s warranty documents for terms and conditions. Call the Energy One America team today at (888) 907-3090 to learn more about our crawl space insulation. We service homes in cities throughout the Southeast, in North Carolina, South Carolina, Georgia, Virginia and beyond, including, Wilmington, Winston-Salem and Charlotte, NC; Myrtle Beach, Bluffton and Charleston, SC; and Augusta, GA.